On the Media Overview page, select which columns to show or hide, the number of items to load per page, as well as display preferences between thumbnail or list view. 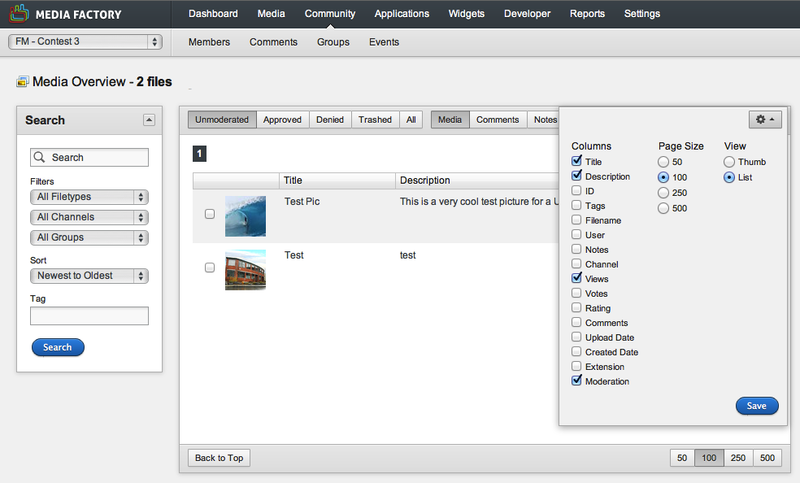 On the Dashboard page, you may only set preferences for the columns to show or hide. Your preferences are updated across all your projects. In Media Factory, from the drop-down list in the left-hand corner under the Media Factory logo, select a project. On one of the pages listed above, click the gear icon. On the pop-up that is displayed, select the options you want. Then make sure to hit "save". The lists appear according to the preferences you have set. The lists in Media Factory are sortable. To change the sort order, click a column header. Also, in media lists, you can hover over a media thumbnail for a larger preview. Using Media Factory, you can view the number of times a user has voted for or viewed an item. Note: If the media item is a video, the user must hit the play button for it to count as a view. Keep in mind the view and vote tally may not be immediate. In the Navigation bar, select Media > Media. On the Media Overview page, double-click a media item. On the Media Details page, under Stats, you will see numbers for both Votes and Views. Note: As long as the Votes and Views columns are selected to be displayed, you can view them on the Media Overview page. 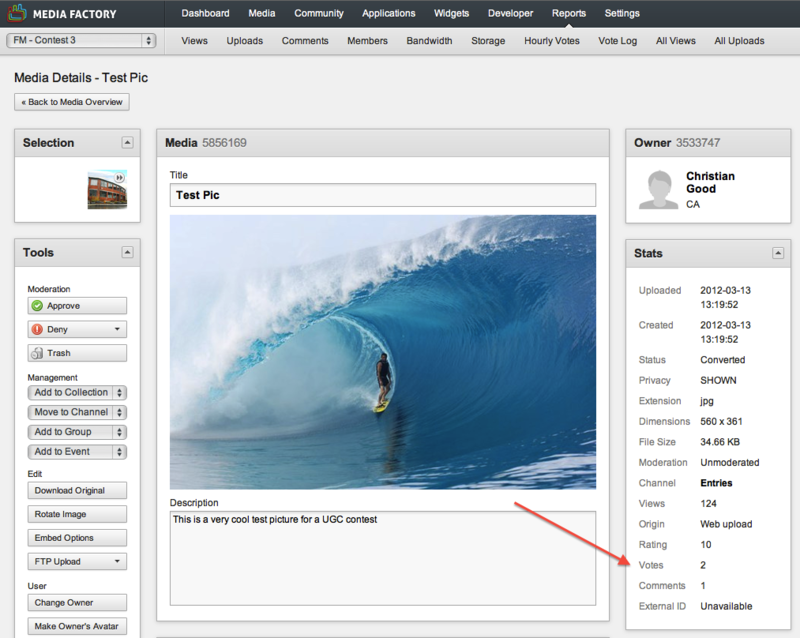 Be the first to comment on Media Page Settings & View.